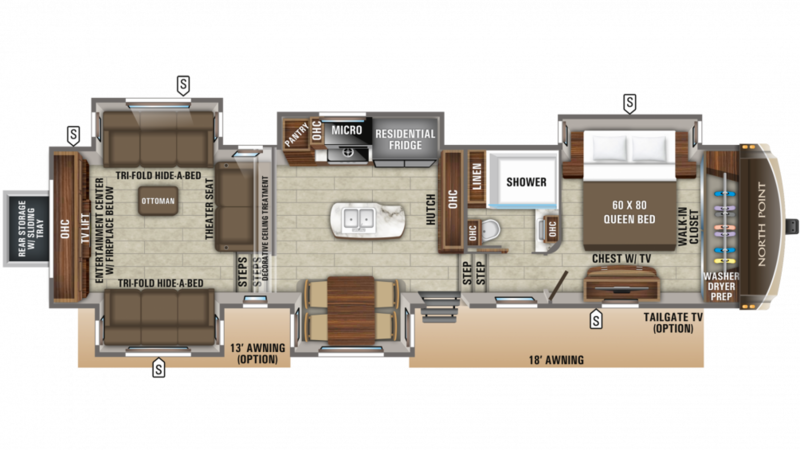 Travel the country with this New 2020 Jayco North Point 387RDFS! At TerryTown RV, we have a massive selection of 5th Wheel RVs, making us one of the top Michigan RV dealerships! Stop on by 7145 Division Ave S Grand Rapids Michigan 49548 or call us at 616-455-5590 to learn more from one of our RV experts! 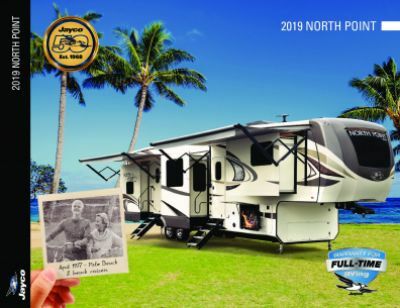 The 2020 Jayco North Point 387RDFS is ready to hit the road whenever you are! It's easily towable with a hitch weight of 2817 lbs! Set up is easy and the GVWR for this rig is 16500 lbs. Rain or shine, you can enjoy the outdoors and fresh air under the 18' 0" patio awning! When it's time to turn in for the night, that's when you'll be glad you chose the 2020 Jayco North Point 387RDFS for your RV travels. The beautiful master bedroom is handsomely furnished and includes a roomy, comfy Queen bed that will take you off to dreamland in no time! There are enough cozy sleeping accommodations for up to 6 people inside this comfy camper! You won't have to bother with the communal bathroom! This 5th Wheel has a bathroom with a Porcelain Foot Flush toilet and a shower. You can take long, hot showers thanks to this RV's impressive 60 lbs. of LP tank capacity. The 87 gallon gray water tank and 50 gallon black water tank store used water and waste so that you don't need to see or deal with it!